Below you will find instructions on how to transfer your tokens from Waves to Ethereum blockchain. Follow only this instruction and don’t trust any other sources! 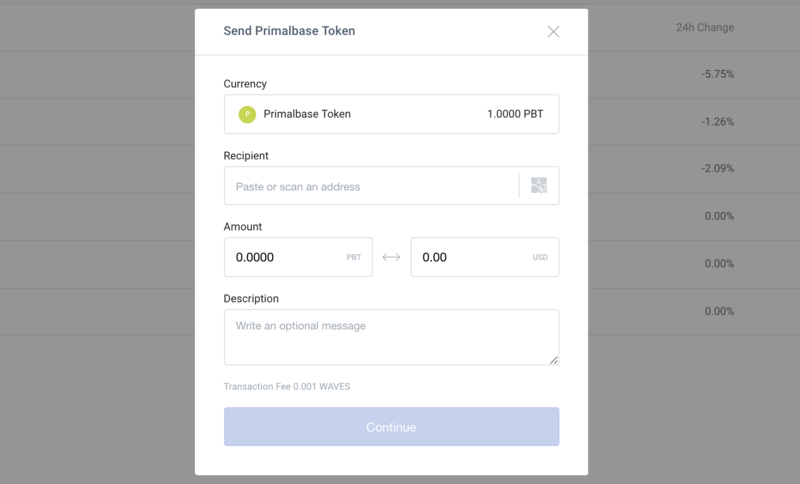 Go to your Waves wallet and click Send Primalbase Token (PBT); this can be found in the ‘Portfolio’ section at wavesplatform.com or at their official desktop version. In the section Amount, enter the number of tokens that you wish to transfer. You can transfer any amount. In the section labelled Description or Attachment, input your Ethereum wallet address without spaces and any other words. 3. Click Continue to check that you have entered Recipient’s address and your Ethereum wallet address correctly. Once you have done this, click Confirm. 4. You can check that your transaction has taken place by clicking on View details or searching for your wallet addresses on Waves Explorer or Etherscan. 5. If all the instructions have been followed correctly, you should find your tokens in your wallet. 6. 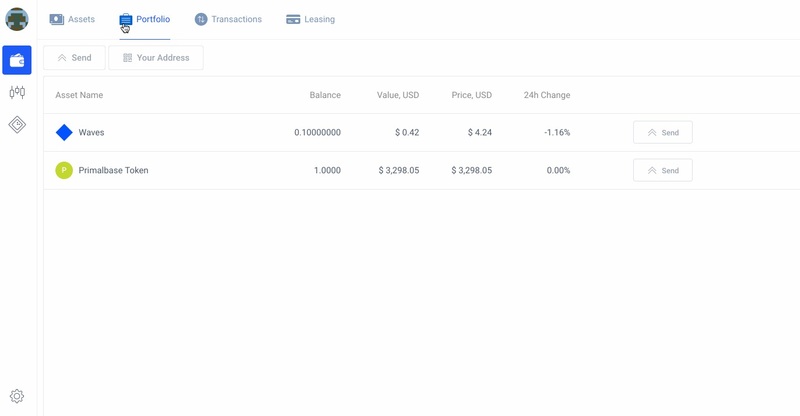 You can now link your Ethereum wallet to your Primalbase account to book a workspace.